Looking for Base Oils ? Base oil is the basic building block of a lubricant. Base oils, also known as lubricant base oils, are a complex mixture of paraffinic, aromatic and napthenic hydrocarbons with molecular weights ranging from medium to high values, which produce oils with desirable viscosities, densities and distillation curves. The quality of base oils is determined by their olefinic, nitrogenated and sulfured compound contents. This is determined by the refining process which it undergoes in its cleaning and removing of impurities. In order to meet composition specifications, these oils are submitted to the hydrotreatment (HDT) process before addition of other compounds for commercial production. This process is characterized by the use of operational conditions of low or medium severity so that aromatic distribution is not seriously affected and sulfur compounds are not completely removed. Base oils are generally fully saturated and extremely pure, with very low volatility and high viscosity index. The proportions of different hydrocarbon components determine the characteristics of the base oils. Viscosity is a measure of the base oilÃ¢â¬â¢s ability to not thicken at low temperatures and not thin out at high temperatures. Base oils may be refined, re-refined, recycled, or reusable. 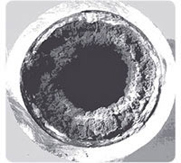 Base oils are produced using an advanced hydrocracking and hydroisomerization process. Today Group III base oils are manufactured using modern hydroisomerization. These oils provide equivalent performance to traditional PAO-based (Group IV) synthetic oils for most products and can be manufactured in volumes and at price points unachievable by PAO. Mineral oils are by-products of refined crude oil. Refining helps reduce impurities but leaves molecules of all shapes and sizes. Ideal base stock for meeting the most stringent new engine oil specifications. Base oils are made, generally in a refinery, by a number of processes, basically distillation. Distillation under atmospheric pressure removes the gasoline and distillate fuel components, leaving a long residue containing the lube oil and the asphalt. Further distillation under vacuum yields neutral distillates overhead and an asphalt residue. Simple treatment with sulphuric acid, line and clay refines into the final product. 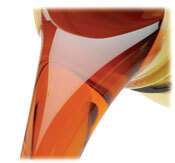 For a more refined base oil, the coloured, unstable and low VI components are removed. Finally, wax is removed by dissolving the oil into methyl-ethyl ketone (MEK) and chilling and filtering to yield oils with pour points in the -10 to -20o C range. The oils may be "finished" with hydrogen to remove sulphur, nitrogen and colour bodies. The end product becomes a colorless oil, i.e. base oil. Investment in compressors and specific heterogeneous catalysts. The overall process including, in addition to the reactor, etc. 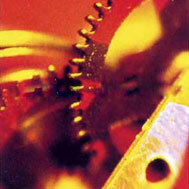 Peripheral structures for feed preheating, heat recovery, compression and hydrogen recycling. Group V - Ester Synthetic Base Oils: They are chemically engineered synthetic base stocks. They are rarely used due to their high cost and inability to mix readily with gasoline and some other oils. All the above mentioned five groups are available in the market and are used for varied purposes. The trend in the future is directed towards lubricants and base oils with even higher purity, lower volatility and longer life. 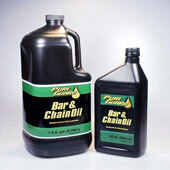 The molecular structure of base oils will be designed to provide higher lubrication performance. A new base oil feedstock is natural gas. A new type of ultra performance Group III base oil from wax derived from natural gas will hit the market. The plants making these super-synthetic base oils will employ the latest hydroprocessing technology.